What Programming Language Should a Beginner Learn in 2019? It’s not news that STEM talents are in great demand and are paid well. Online postings for software jobs across the U.S. grew 31% from 2007 to 2012 - nearly 3x faster than overall job postings. The US Bureau of Labor Statistics estimates software developer jobs to continue to grow at 22% from 2012~2022, with a median pay of $100,080 for software app developers as of May 2016. If you’re looking to learn how to code, the sheer number of programming languages may be overwhelming – what language should you indeed learn? This article hopes to give you some pointers by comparing the salary, popularity, and prospective future associated with different programming languages. Here's a Fun Quiz to help you decide the best programming language you should learn. Before we go into comparing programming languages, let’s first take a look at the languages we’re going to be covering. Dynamic languages are generally easier for total beginners to learn because they’re flexible and fun. You can quickly build an app from scratch with less lines of code, and there is no hard rule on how to write things to behave in the way you want them to. As dynamic languages are usually very high level languages, you'd spend less time trying to get the details right and more time learning programming concepts, which is another reason dynamically typed languages are popular with beginners who are motivated by being able to build things and see results quickly. Ruby was developed so developers can have fun and be productive at the same time. 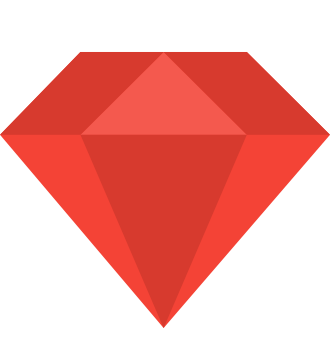 Ruby was made popular by the Ruby on Rails framework, a full-stack web framework optimized for programming happiness. As Ruby reads like English and Rails has tools that make common development tasks easier “out-of-the-box”, many would recommend learning Ruby as your first programming language. Ruby is mostly used for back-end development, and popular sites such as Airbnb, Shopify, Bloomberg, Hulu, Slideshare, and more, were all built with Ruby on Rails. Python is another highly recommended language for beginners, and is the most popular introductory language at Top U.S. Universities. Developers have used Python to build desktop apps and web apps alike, and it has great tools for data mining. In addition, Python is particularly popular in academic communities for scientific computing, data analysis, and bioinformatics. 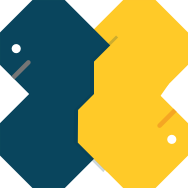 Google, Dropbox, Pinterest, Instagram, Reddit, BitTorrent, Civilization IV, and more, were built with Python. 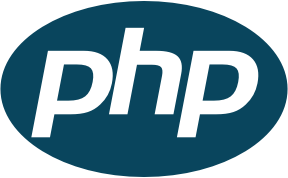 Facebook, Wikipedia, Yahoo!, Tumblr, Wordpress, and more, were built with PHP. I talked with developers from India and they suggested python. I know India has the very best software programmers in the world. So made my choice to learn python because it can be learned in a 3 month period. You can become very proficient in that short amout of time. Plus the salary per year for a developer in python and Ruby on rails is about $184,000 a year thats not bad. Thats what most doctors in my country make a year. The best part about it is you don't need to go to school you can learn online. Python also is a language that programs robots which I found interesting as well. Imagine that just working for a company at home. Than you can scale it up and build programs for businesses. Also build your own programs for business and put them on clickbank or Jv Zoo or Warrior Plus. Theres a bright future in programming. 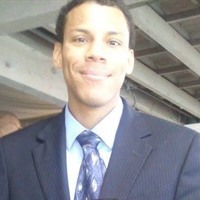 If you would like to get 37 softwares to aid you in your online business just click on my link you will be taken there.